Douglas B-26B Invader 44-35703. 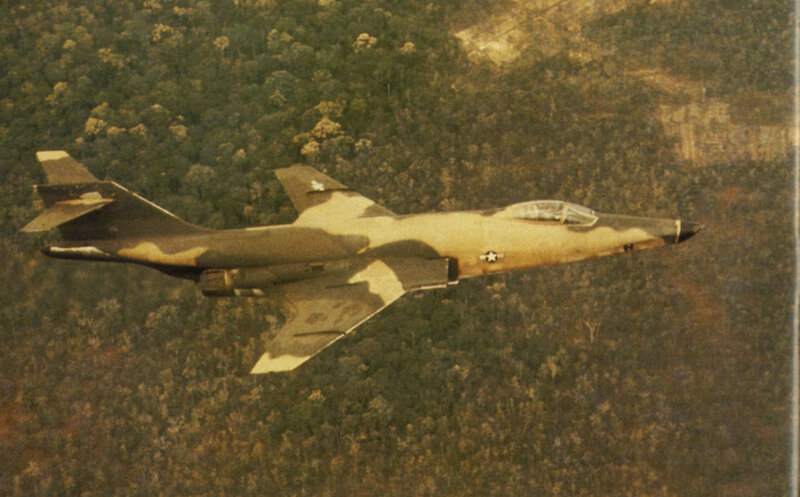 This “Ranch Hand” aircraft was shot down over South Vietnam on November 24, 1963. American military aid to Laos included Douglas C-47 transport aircraft. By 1960 South Vietnam had received enough C-47s under the military assistance programme to equip two squadrons. Grumman F8F Bearcats of the French Air Force preparing for a mission from Dien Bien Phu airfield on January 10, 1954. A North American T-28D Trojan of the South Vietnamese Air Force at Bien Hoa air base. The aircraft is armed with bombs and two 0-5in gun pods. Piasecki CH-21C Shawnees in flight south-west of Saigon. They were operated by the 57th Transportation Company (Light Helicopter) which arrived in December 1961. 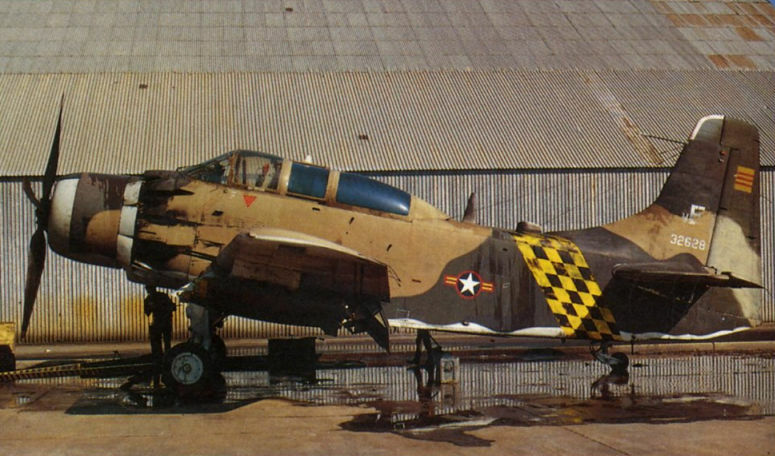 Not all South Vietnamese Skyraiders were camouflaged. Note the napalm canisters in the foreground. 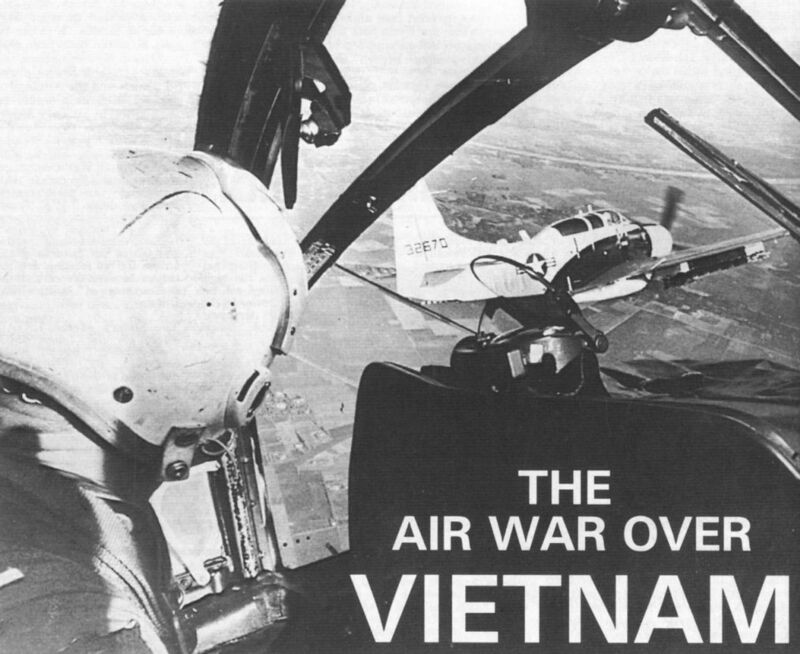 The two-seater Douglas A-1E Skyraiders of the South Vietnamese Air Force were usually flown by joint USAF-Vietnamese pilots. 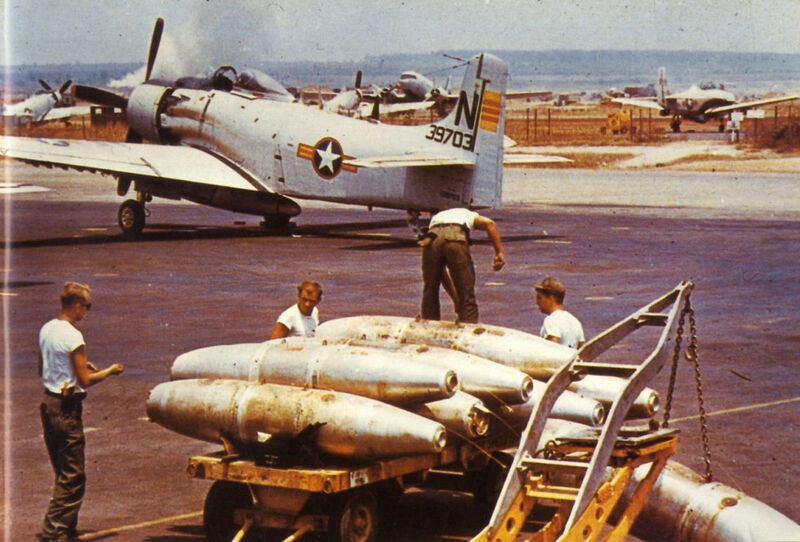 A South Vietnamese Air Force Douglas A-1H Skyraider armed with 250 lb bombs. South Vietnam from the cockpit of a Douglas A-1E Skyraider. The French-registered Boeing 307 Stratoliner at right was used by the International Control Commission, established by the 1954 Geneva Accords to monitor the “ceasefire".